This is a sponsored conversation written by me on behalf of PANTENE. The opinions and text are all mine. Full disclaimer details here. 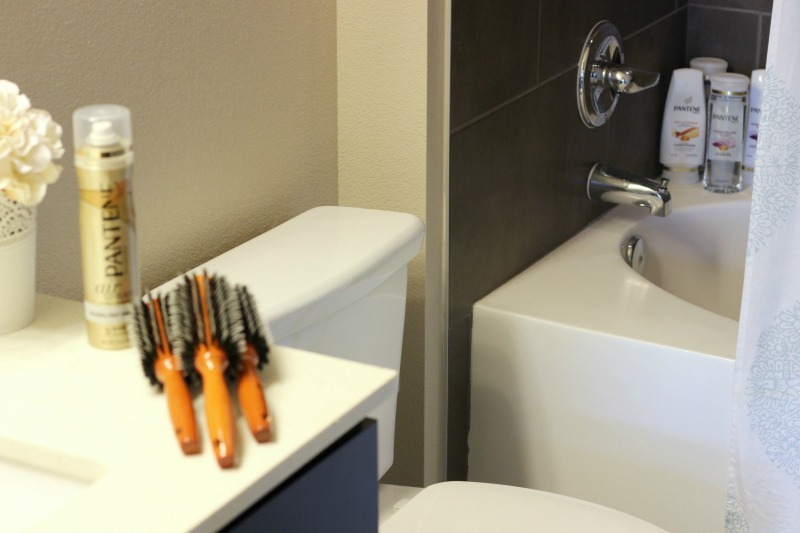 If you were to come visit me and sneak a peek into my shower, you’d see a nice stash of Pantene shampoos and conditioners. 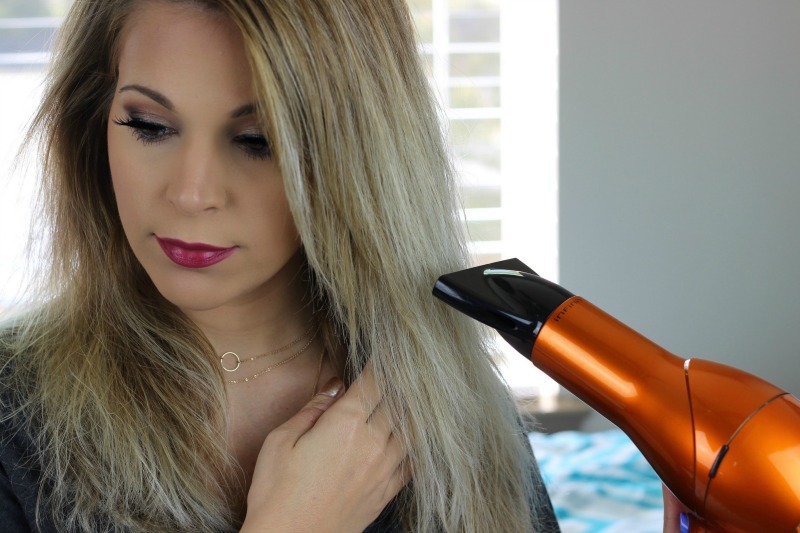 I’ve been a big fan of Pantene’s products over the years because I always get bouncy, healthy results and I love the clean scent that lingers in my hair afterward. 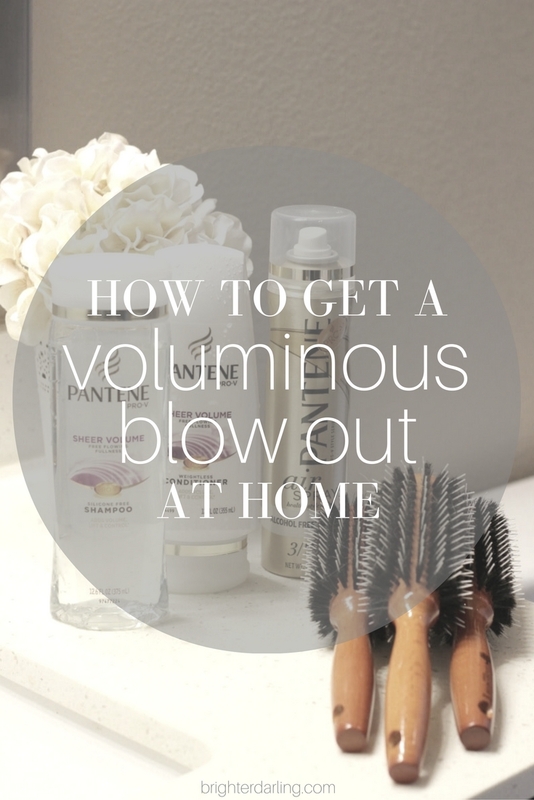 For this voluminous blow out at home, I opted for the Pantene Pro-V Sheer Volume collection and the Pantene Pro-V Airspray (hold level 3) because they’re ideal for creating volume, lift, and control. Everything is also conveniently sold on Amazon so you don’t even need to leave your house or deal with traffic and crowds during this time of the year! Begin by shampooing and conditioning your hair with Pantene Pro-V Sheer Volume shampoo and conditioner. This duo is going to help give your hair volume, lift, and control. It’s also fortified with antioxidants to protect the hair’s surface which is going to help give more beautiful hair! Rough dry your hair using your fingers until it’s about 85-90% dry. Starting from the back/bottom of your hair to the top, take a round boar bristle brush and continue to dry hair, pulling taut at the ends. 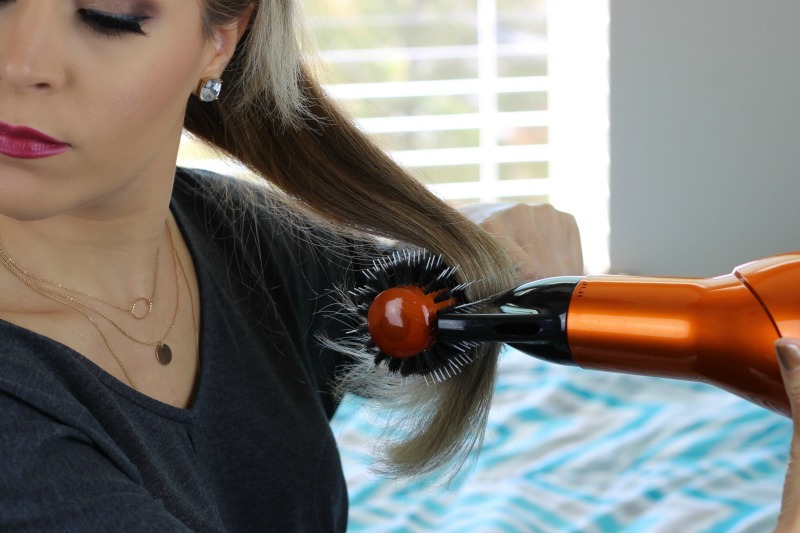 Make sure you really smooth out that last couple of inches because you don’t want your ends to be frizzy/wrinkles when rolled up into the hairbrush. 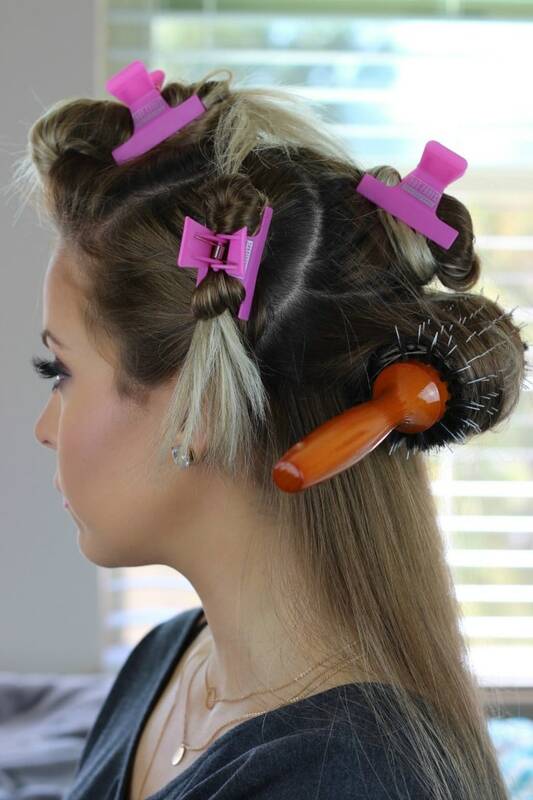 Roll section of hair up and under with the brush. Add a clip, if necessary, for stability. Continue to do this around your entire head. Once your entire head is set in hair brushes, give it a healthy blast of a flexible hold hairspray, like Pantene Pro-V Airspray. This is one of my favorite products when I style my hair because it doesn’t dry it out no matter how much you apply because it’s alcohol-free. Wait about five minutes for your hair to cool down and set. Gently release each section in the order you set it. Twirl each section around your finger to add a nice bend. Flip your head upside down and finger brush through. Flip it back over, style into place with your fingers and give a light spray with Pantene Pro-V Airspray. I hope this tutorial is helpful and you give it a try this holiday season. The best part is that this style tends to last on me for a good two to three days, so it’s great to do on a Friday after work for perfect hair all weekend long. 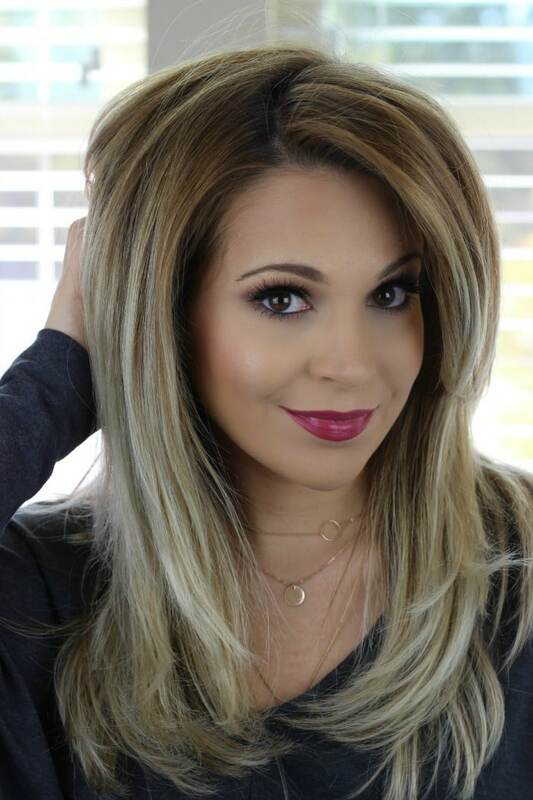 Pick up my must-have Pantene Pro-V Sheer Volume Collection and Airspray on Amazon here so you can try this look soon! If you have other needs for your hair type, check out Pantene’s full line on Pantene.com. 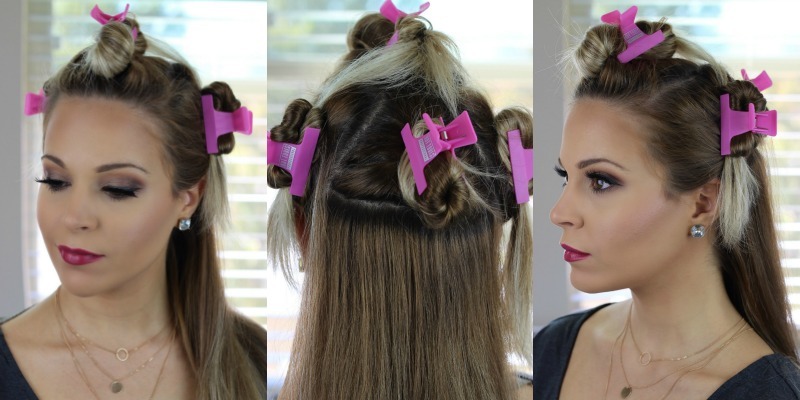 Sleep with your hair twisted up in a loose ballerina bun with an old-school scrunchie for maximum volume the next day! "Allure Beauty Box Final Review + Evaluation"
"*GIVEAWAY* | Be Thankful Beauty Blowout Box [CLOSED]"